It's perhaps the most hotly-anticipated game yet to be announced, but developer Rockstar has given perhaps its biggest tease yet that Red Dead Redemption 2 is on the way. On Sunday it updated its Facebook page with a very familiar red color scheme Cover Photo. The company's Newswire website saw a similar update. Though Rockstar hasn't offered any accompanying details with the social media updates, it seems to suggest that the open-world cowboy franchise will soon be making a return. 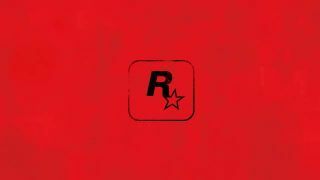 Rockstar publishing partner Take-Two recently announced that the developer was "of course hard at work on exciting future projects," and with the recent Grand Theft Auto V biker update seemingly marking the end of major content packs for that game, attentions are likely turning to the Old West. Indeed, earlier this year TechRadar exclusively revealed what a trusted source claimed to be a first look at the Red Dead Redemption 2 map, revealing the new game to be a prequel to 2010's Red Dead Redemption. It also suggested that there will be a link to Mafia 3, also published by Take-Two, with both Mafia 3 and the Red Dead leak sharing the location of New Bordeaux. Not counting the PS4, Xbox One and PC remakes of GTA V, Rockstar hasn't revealed an all new game since 2011, when it first showed off Grand Theft Auto V for the PS3 and Xbox 360. 2010's Red Dead Redemption is often considered one of the finest games of the last generation, mixing the open-world action of the Grand Theft Auto series with a super-cool spaghetti western aesthetic. A current gen return to the Wild West created by Rockstar is high on many a gamer's wishlist.